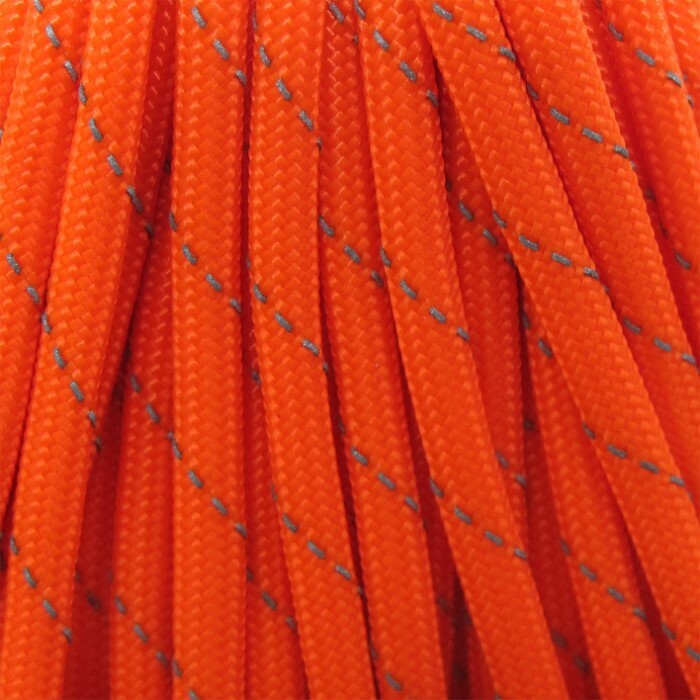 550-lb Seven-Strand Reflective Orange Paracord - 100’ bundle | BUDK.com - Knives & Swords At The Lowest Prices! Military-grade paracord has infinite uses for camping, hiking, work jobs and chores. 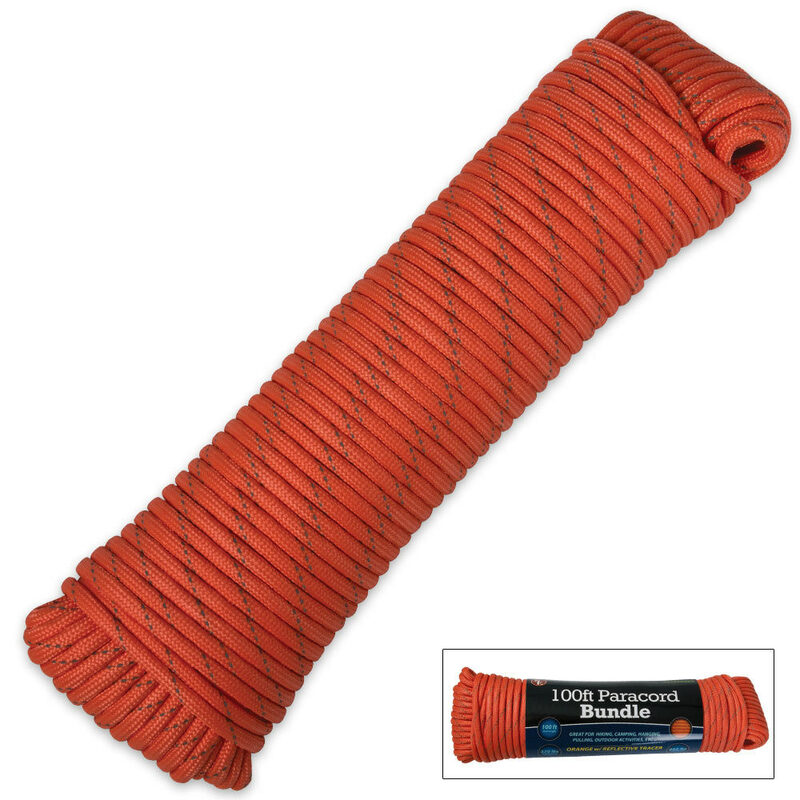 This seven-strand paracord is extremely strong and durable, built for tough jobs and demanding applications. The orange color is easy to spot and the reflective tracer further improves its visibility. This 100-foot roll provides a super-high 550-lb breaking point. It's a must-have for your camping gear, hiking gear, boat and bug-out bag! I absolutly love this paracord. Everytime I order something from this site I buy atleast one of them. 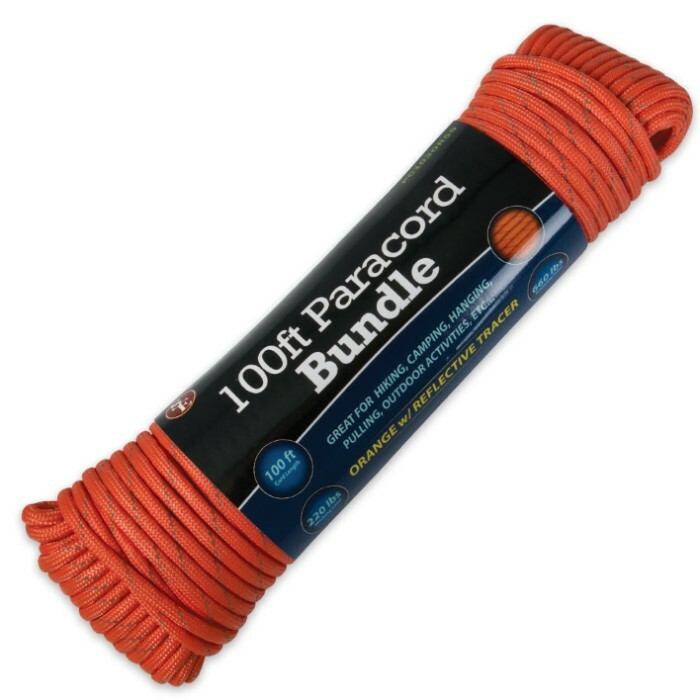 Cheap price and wonderful paracord.